Group also unveils redesigned Buy From Georgia website. 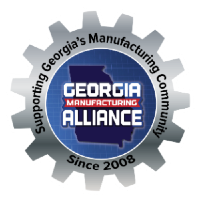 The Georgia Manufacturing Alliance took care of the proverbial two birds with one stone — or rather with one pair of scissors —this past week when it held a ribbon-cutting for its new office in Lawrenceville. In addition to officially opening its new headquarters, the alliance also formally launched its redesigned Buy From Georgia Initiative website at the event. The website, www.BuyFromGeorgia.com, was overhauled to promote more than 1,000 products that are made in Georgia and can be purchased on Amazon.